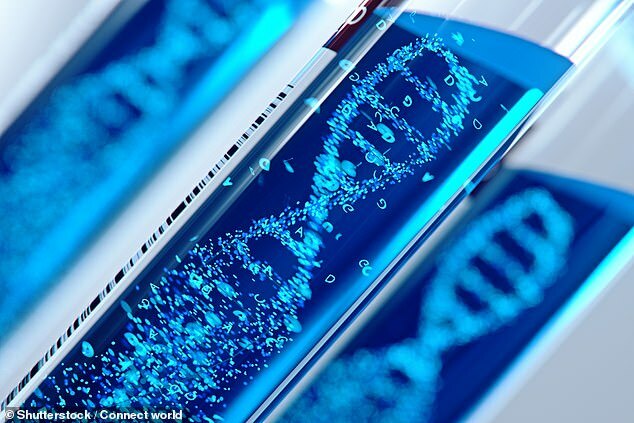 Chinese scientists who edited human genes have lost touch with the patients they treated, according to a new Wall Street Journal report. The claim has sparked widespread concerns in the scientific community about ethics and unintended consequences just weeks after another Chinese scientist claimed he modified the DNA of twin girls to make them resistant to AIDS – and that he is working on another pregnancy. CRISPR, which was first described in 1987, offers incredible opportunities for scientists to circumvent diseases and genetic glitches. But Jennifer Doudna, the UC Berkeley professor who streamlined CRISPR into a two-step process, warns the follow-up to an experiment is just as crucial as the experiment itself. ‘Since we do not fully understand the human genome and are still developing knowledge of Crispr-Cas technology, we need to monitor the intended and unintended consequences over the lifespan of patients,’ Doudna told the Journal. 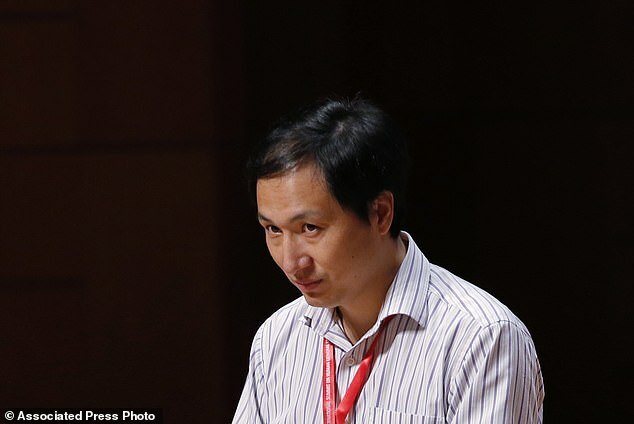 Western scientists are not the only ones crying foul after Dr He Jiankui claimed in November that he modified the DNA of twin girls to make them resistant to infection with the AIDS virus. China’s Vice Minister of Science and Technology has condemned the ‘unacceptable’ research, and said ministry is strongly opposed to the reported experiments. 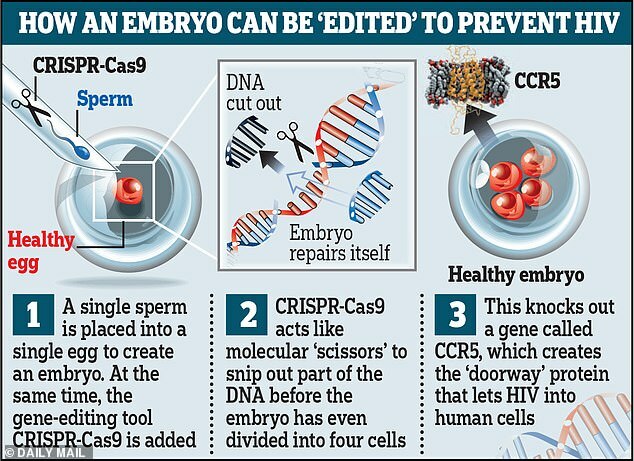 And a group of leading scientists declared that the world isn’t ready for gene-edited babies following Dr He’s shock claims. Many argued it was irresponsible to alter the genes of eggs, sperm or embryos except in lab research because not enough is known yet about its risks or safety. Controversial researcher Dr Jiankui’s remarks sparked outrage from the global scientific community, with some experts calling the work ‘monstrous’. 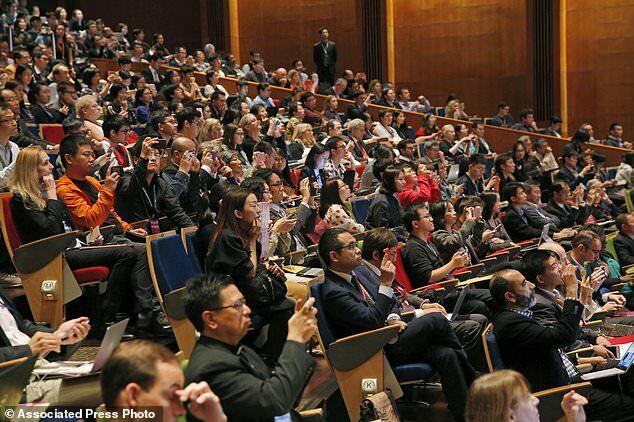 Researchers at the conference in Hong Kong – where he revealed his experiment – echoed these concerns, saying it was still too soon to make permanent changes to DNA that can be inherited by future generations, as Dr He claims to have done. There is no independent confirmation of what Dr He says he did. In fact, Doudna says, we cannot be sure it happened or what Dr He did, since his paper was not peer-reviewed. The private hospital where Dr He performed the work accused him of forging the paperwork needed to approve his experiments. Whatever happened, several prominent scientists said the case showed a failure of the field to police itself and the need for stricter principles or regulations. ‘It’s not unreasonable to expect the scientific community’ to follow guidelines, said Professor David Baltimore, a Nobel laureate from California Institute of Technology who led the panel. ‘I think the failure was his, not the scientific community,’ Dr Charo said. Gene editing for reproductive purposes might be considered in the future ‘but only when there is compelling medical need,’ with clear understanding of risks and benefits, and certain other conditions, said Dr Victor Dzau, president of the U.S. National Academy of Medicine, one of the conference sponsors. ‘Not following these guidelines would be an irresponsible act,’ he added. 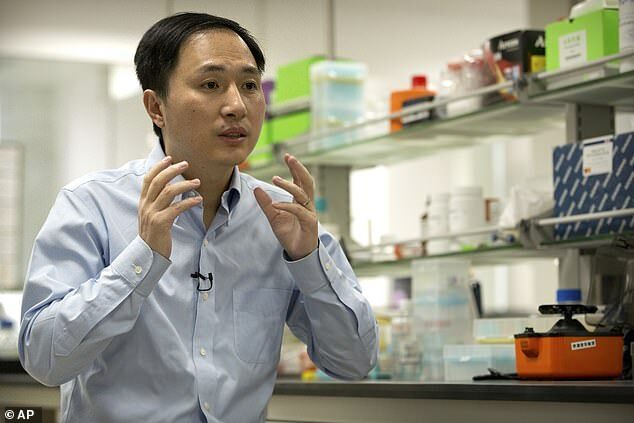 Despite a wave of backlash following his first announcement, Dr He then revealed that a second gene-edited pregnancy was underway.